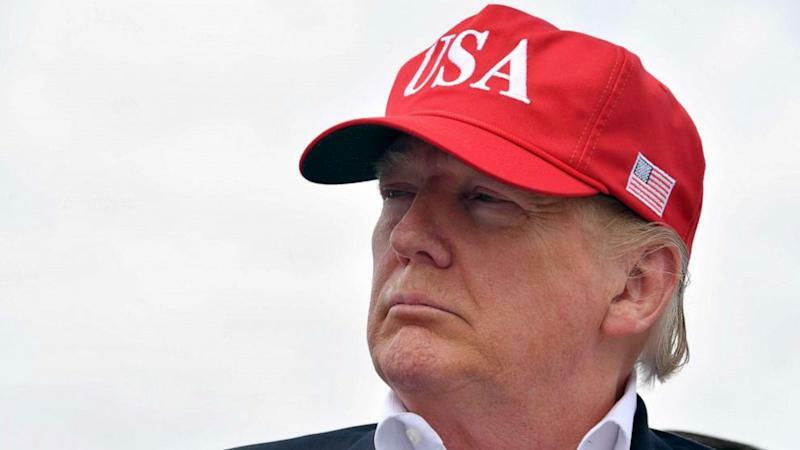 President Donald Trump on Friday again threatened to completely close the southern border or "large" sections of it if Mexico doesn’t stop migrants from crossing into the U.S. without authorization -- a move that could come as early as next week. Throughout the day Trump repeated his threats and said he’s “not playing games” while pledging to close the Southern border “for a long time” if Mexico doesn’t act to prevent people from crossing the border into the United States. "Mexico can stop it right at their southern border," Trump told reporters Friday. "They have a southern border and they have a border that can be very well structured." Mexico's president, Andres Manuel Lopez Obrador, spoke at an event in Veracruz Friday night. He did not specifically address closing the border, but did endorse diplomacy. "We have told President Trump himself that the best way to deal with the migratory phenomenon is to create jobs and to have well-being in Central America and Mexico and this is how we solve the problem," Lopez Obrador said. "Not in any other way." Mexico tops the list of U.S. trading partners, according to the U.S. trade office. The southern neighbor ranked as the second-largest U.S. goods export market in 2017. U.S. border authorities are predicting the number of undocumented migrants stopped at the southern border could reach as high as 1 million by the end of the year -- potentially twice as many as last year's level and a 140 percent increase over his first year in office. It’s not the first time Trump has threatened to close the southern border. After a surge of migrants attempting to enter San Diego in November 2018, the president responded with similar threats. At the time, economics and border-area business leaders worried about the financial damage closing the border could inflict. While Mexico would see a proportionally greater impact, a border closure could also increase inflation and unemployment rates in the U.S., according to Moody’s Analytics analysis. On Thursday, Homeland Security Secretary Kirstjen Nielsen asked Congress for new authority to expedite the return of undocumented migrant children who cross the southern border. Nielsen justified the request saying children in DHS custody are at risk because the department can’t transfer them quickly enough to refugee shelters, which have reached max capacity.